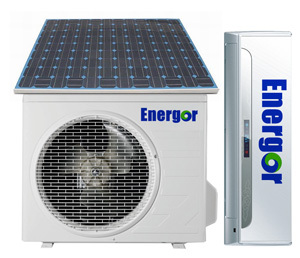 Energor solar air-conditioner uses solar energy and electricity energy as the auxiliary power,which reaches the effect of photoelectric complementation in accordance with principles of fluid dynamics and achieve the purposes of refrigeratio-n, heating,environmental protection and energy saving by combining traditional air-conditioner technology and adopting the combination of the absorption and compression and ecvironmentally-friendly and energy-efficient refrigerants. 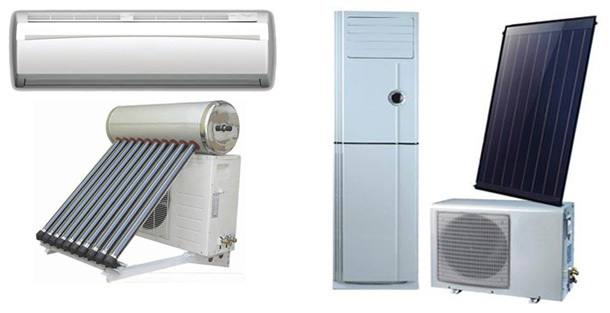 The solar air conditioner can save over 30%-70% on the power consumption compared with standard air conditioner of the same size or same cooling capacity. Solar AC units use a storing energy box in the solar collector to help store solar heat energy,so it can operate with efficiency at night or on cloudy days. Energor Solar Hybrid Air Conditioner is usually the one consumes the most electricity among your home appliances and gadgets. If there is an air conditioner that is able to harness the solar energy, this should help save lots of your electricity bills. 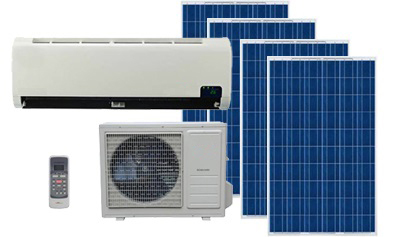 100% Solar Powered air conditioner using large amount of PV moudles is more expensive than normal one, the optimized way is attainable by connecting your normal A/C to solar power station (If you have),if you have not,the 100% solar A/C is customized.